LAARS Pre-Season Rebates - Frank P. Langley Co. Inc.
Contractors’ pre-season Visa card giveaway! 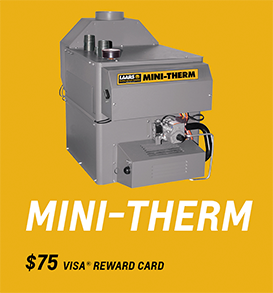 Get ready for the cold months to come and get a prepaid Visa for each boiler you purchase through your LAARS wholesaler. 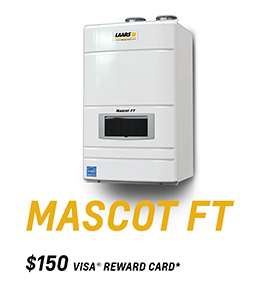 Just register every LAARS boiler you buy between 8/20/18 – 10/1/18. Read the full program details and start receiving your rewards today. 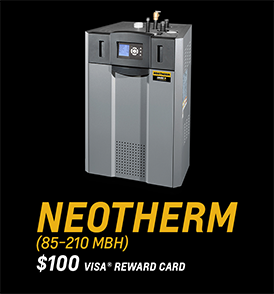 Don’t miss out on these amazing rebates on the market’s best boilers. There’s no limit on the number of boilers you register!